Home » Columns » Abracadabra By K. B. Ganapathy » Will Ashoka’s Navaratnas produce a great leader for India? Plato the Greek Philosopher had said that an unexamined life is not worth living. I am unable to get the sense of this precept. Whose life? If it is my own life, life of each individual, how to examine it? What are the standards and parameters? Does it also mean introspection? Further, does it mean writing an autobiography truthfully, shorn of self-praise and justification of every action during the long or short journey of life? And then, will life become worth living after examination? I guess Plato means a Flash-Back, like we see in cinemas !! No matter what Plato means, life is a riddle wrapped in mystery inside an enigma, as some one had said. If so, life is a journey, without a road map. Ask K. Natwar Singh, who has written an autobiography titled “One life is not enough” soon after he fell from Sonia Gandhi’s favour after being a life-long Nehru family acolyte. It is for this reason, surprise is expressed when an individual who is incompetent and suffers from many infirmities comes to occupy high position of power and becomes a leader. Conversely, some individuals from humble beginnings become leaders of extraordinary power and vision. For example, Narendra Modi, Prime Minister of our country with a population of 130 crore. Here there is surprise, no doubt, but there is also great admiration to the person. Here Modi. How could this happen? History is replete with examples of both the kinds I have mentioned above. Abraham Lincoln is another example of a leader who accomplished what seemed impossible by successfully fighting a civil war. Hitler is another example, though of a negative kind. Ashoka and Akbar are another two blazing examples of blossoming themselves as great leaders of their empires. Here lies the mystery. According to Osho Rajneesh, these individuals became great heroes and leaders extraordinaire of the people because of the support, advice and guidance they received from ‘Esoteric Groups’ with masters capable of influencing these individuals and through them the world’s activity. According to Osho, it is necessary to have an ‘Esoteric Group,’ which may exist physically or non-physically, to help these leaders to communicate to this world, their followers, in a subtle or manifest manner. It seems Buddha had an ‘Esoteric Group’ to render this service and, therefore, he is not only protected from many dangers but also enabled to preach till he was very old. 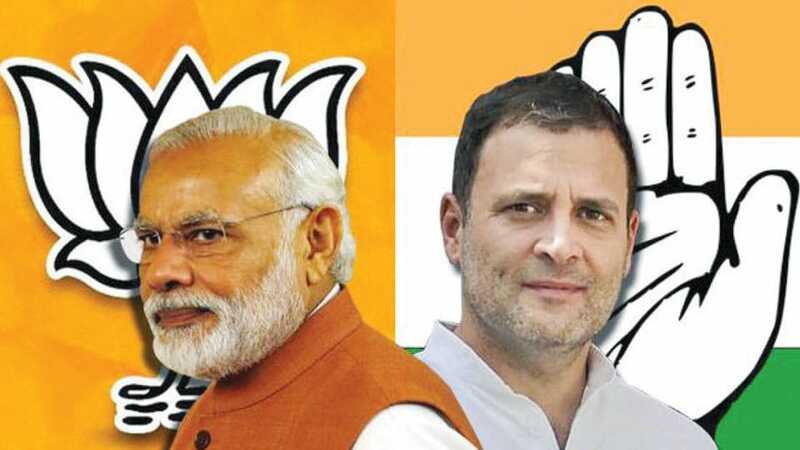 However, in the case of our Prime Minister Narendra Modi and also Congress President Rahul Gandhi, they have their own “Esoteric Group” in their Spokespersons and best of Advocates to act as the interpretors of their utterances — profound or ridiculous. Osho says, Emperor Ashoka had created an ‘Esoteric Group’ of nine persons known as ‘Navaratanas’ which is still existing and assisting different leaders in India or abroad even after their death. Some of them were reincarnated by being born on this earth. Theosophists believe in this ‘Esoteric Group’ and called the members as masters. Theosophists, it seems, believed that there will be a reincarnation of the Buddha in future and he will be known as Maitreya. Ashoka’s circle of nine gems, it is believed, has been working and waiting for the second coming of Buddha 2,500 years later. It may be mentioned here that Jiddu Krishnamurti of the Theosophical Society, Adyar at Chennai, under the guidance of Annie Besant and Charles Leadbeater, was trained to be a spiritual vehicle so that Maitreya could come into him. That Jiddu Krishnamurti at the eleventh hour, when everything was ready to proclaim him as Maitreya, refused to surrender to the plan of Theosophists. Krishnamurti refused to be the vehicle for Maitreya. The mystery of this ‘Esoteric Group’ of Ashoka is such that one wonders whether it was just a coincidence for Japan, a Buddhist country, to become friendly to Germany, a Christian country and situated far away from each other. We can borrow the words of Rudyard Kipling and say, “East is East and West is West, and never the twain shall meet.” But what seemed impossible had happened in World War II. Germany and Japan together fought the enemy because of the Buddhist Esoteric Group’s influence, it is believed. Be that as it may, nothing happens accidentally in life. Whatever happens, has a causal connection to something esoteric. Nonsense! Adolf Hitler ,a soldier in WWI witnessed Germany’s humiliation in its defeat, through signing of the treaty-he was an Austrian who determined to make Germany great in his thousand year Reich under Nazi rule with expansionist agenda. WWI was also a trigger point for Japan too, which had signed a treaty,which did not sit well with its own empire creation agenda-it invaded China in earlier decades; the emperor and generals combination in pre-WWII there wanted Japan to be great through powerful military adventures. These were common underlying reasons for the actions of leadership of both countries which were not based on any religious underpinning. It is a gross misunderstanding to claim that Japan is Buddhist, as its major religion is Shinto and has been over the centuries,although there has been good pockets of Buddhist practices. The desire of creating empires through military means of conquer, thus achieving greatness backed by power were the reasons that fanatic leadership in Japan drove the country to near destruction as did leadership under Hitler in Germany too during WWII. Buddha and Jesus comparison should also take into account the influence of prevailing religions in their respective times-Vedic influence in Buddha’s time and Jewish influence in Jesus time. Jesus was made to suffer as he was portrayed mischievously as the King of Jews by the Romans who were the rulers of Palestine at that time, and that alone created the toxic atmosphere which triggered hatred of Jesus by Jews and Roman rulers alike in Palestine. Buddha encountered no similar combined animosity, although he was up against the powerful prevailing Vedic influence. Interesting too were the comparative spread of Buddhism and Christianity out of the small patches of land where they emerged. Beginning within decades of Jesus’s death on the Cross,and until the birth of Islam ,Christianity spread fast unchecked allover the Middle East, Europe, parts of Asia,Africa and the regions now called Americas . Buddhism’spread in ancient India was checked by Adi Shankaracharya who revived Hinduism, and as a result, the spread of Buddhism took place mostly outside India in countries like Sri Lanka and parts of Asia including Japan and Korea.